“Deep, highly saturated shades have been popular for years, but the palette that’s in vogue right now is just the opposite. Interior designers and colorists are favoring lighter hues that just tease the eye with subtle hints of color. During the daytime, a wall color might appear to be in the pale green family, but at night, under artificial light, it may take on a yellow caste. Vaguely reminiscent of the “pastels” of yesteryear, the light colors that are gaining popularity today are more sophisticated ensembles, often marrying three or more different hues to create soft color that is often hard to put a name to. Layering color in this way also produces some interesting visual effects. Because the new tints are so changeable under different lighting conditions, a useful recommendation is to apply some sizable swatches of the paint color to several of your walls and live with them for a day or two before fully committing to the color. Because the new tints are not pure yellows, greens, or whatever, many have a chameleon-like quality, shifting their appearance slightly when the light changes. During the daytime, a wall color might appear to be in the pale green family, but at night, under artificial light, it may take on a yellow caste. Likewise, a light bluish tint might gravitate toward pale gray in dimmer light. Because the new tints are so changeable under different lighting conditions, a useful recommendation is to apply some sizable swatches of the paint color to several of your walls and live with them for a day or two before fully committing to the color. That way, you can be sure you’ll like your new choice at every time of day or night. The emerging trend to tints is part of the natural ebb and flow that occurs in the paint industry every five years or so, and this stage of the cycle offers some tangible rewards to those who jump on board. For one thing, repainting walls, ceilings and woodwork in lighter-colored paint tends to “open up” the area, making any room seem more spacious. Perhaps even more important is the psychological benefit that comes with a lighter indoor environment. Brighter surroundings can lift our spirits, no matter what the color. And soft tints derived from certain color families – green and blue, for example – have a restful quality that can be restorative after a stressful day. For more information on paint color and painting techniques, visit the Paint Quality Institute blog at blog.paintquality.com or its website at www.paintquality.com. The Paint Quality Institute was formed in 1989 to educate people on the advantages of using quality interior and exterior paints and coatings. The Paint Quality Institute’s goal is to provide information on the virtues of quality paint as well as color trends and decorating with paint through a variety of vehicles, including television appearances, newspaper and magazine articles, and instructional literature. Please be sure to visit the Paint Quality Institute at www.paintquality.com. PAINT QUALITY INSTITUTE and PAINTQUALITY.COM are trademarks of The Dow Chemical Company (“Dow”) or an affiliated company of Dow. Met a very nice man to discuss removing grass cloth wallpaper in his home. We quickly struck up a pleasant and wide-ranging conversation – first a book, then back to painting, then on to travel, etc. Add this to the “Why I love my job” list . I mentioned that we have been doing some ongoing work at a nursing home. This is a new development for our company and is a very enjoyable change of pace from our normal work. He then asked “which retirement home?” A bit surprised with the question, I answered him. He paused, and then told me that his mother had passed last year and had spent some time in the Alzheimer’s unit at the same home. “They’re nice people there, they did a really great job for our family.” A bit of an awkward moment, I now saw our new commercial customer (the care facility) not as a pile of rooms to be painted but as a group of caring individuals that affect families. 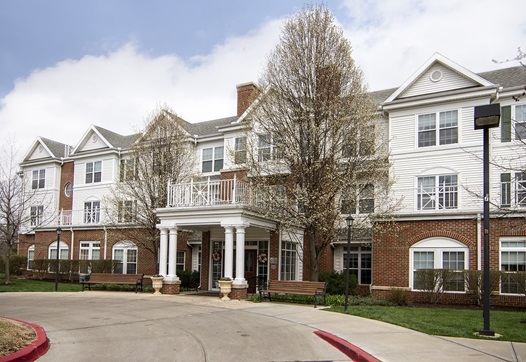 So if you’re looking for that next stage in someone’s life you might consider Brighton Gardens in Prairie Village. 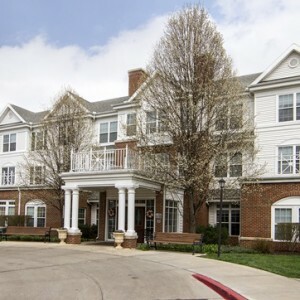 It’s clean and well-maintained, and I’ll bet they’ll do a good job for your family as well. Unfinished cabinetry has some downsides to be aware of. A family called to meet and talk about interior painting – the entire house. 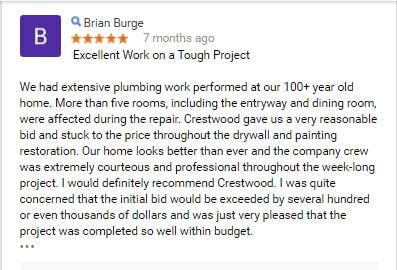 They had hired a “friend” that had been “recommended” as a “good painter” that “needed some help”. This painter was not up to the task and had managed to create chaos throughout the home. On balance, staining unfinished vanities is easier than painting. Staining eliminates sanding primer and caulking joints. Stain also helps blend normal surface wear and tear – you’re less likely to notice varnish wear off; you’ll very quickly see that wear in a painted surface. Finally, the average homeowner is more likely to achieve satisfactory results when staining and varnishing whereas painting cabinetry requires more deliberate skill. Usually drawer boxes are sealed with a coat or two of varnish. This requires first staining the drawer fronts, dry time and varnish over all. Unless you’re painting – then varnish the drawer box first, then paint drawer fronts. Of course, re-install drawer glides when everything is dry. Now carry the all components back to the bathroom and install drawer glides and hinges without nicking anything. Remember to clean up the (basement? garage?) work area. 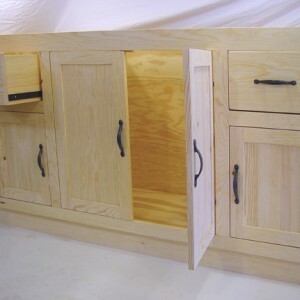 You’re always better to take advantage of a cabinet manufacturer’s factory-perfect finishing process. You’ll never achieve a similar level of finish on your own and the cost of paying a professional to come in and do it will not yield the expected savings. What’s it cost to paint or stain bathroom vanities? Generally, $100 per lineal foot is a good guide. So, a 5′ vanity will be about $500 and a 3′ vanity will be around $350. This assumes there is other work being done and, of course, your mileage may vary depending on the painter you call. This Hyde Park treasure cost about $8000 to paint. After making the decision to paint the exterior of their home, Kansas City homeowners want to know about cost. The short answer is always “it depends” because there are so many factors involved. 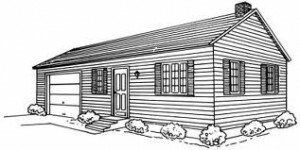 Material – if we’re painting vinyl or aluminum siding it only needs to be washed. 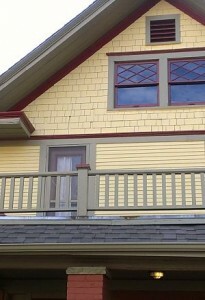 But cedar clapboards, on the other hand, require hand scraping of every square inch of exposed surface. Prep – A home in poor condition requires more prep work than one in good condition. Prep work take time; more time certainly affects cost – something to keep in mind when considering an attractive lower price. Colors I – Each color adds to the complexity of the overall project and each color means another trip up the ladder. A mid-century ranch house is fine with 3 colors; a classic Craftsman might require five colors to properly highlight the architectural details. Smaller houses cost less to paint. Colors II – Poor quality paint doesn’t cover very well. Some painters charge more for a color change (e.g. dark blue over white). If that’s the case you might ask that painter about product choice. Details I – Shutters are often an accent color. If shutters can be easily removed there’s no problem; if plastic shutters are fixed with pound-in-never-come-out plastic anchors it might be necessary to leave them in place and paint around them. Details II – Corbels, brackets and crown molding are all often painted an accent color. Each can make the whole more impressive and each of these features requires care and attention to bring out the overall look. Making the right decision for your home is easier when you have good information. Let us know if we can help!